Top Ten Tuesday is a weekly meme/feature hosted by The Broke and the Bookish. This week’s topic is: Top Ten Things on My Reading List. So I’ll be doing ten things I want to see/read more in books. The Colonial Era is my absolute favorite time period of American history, mainly thanks to Hamilton. I’ve fascinated by it, with the way people lived to the Revolutionary War and all the battles. Sadly, I don’t really know of any YA books set during this time period and I really want to read books set in it. If you have any suggestions for books set during this period of time, please tell me! Another thing I love is Europe. I love reading books set outside of the U.S. in general, but especially books in Europe and in cities like London, Rome, Amsterdam, and you get the point. I will read basically any book you tell me that is set in Europe, whether it be present or modern day. Bonus points if you can find some set in England or Sweden, because those two countries are my favorite. Oh I just love books based off of mythology! I haven’t read many, but I love the ones that I have, specifically Percy Jackson. Percy Jackson was also the first mythology books I ever read. I don’t really know of many other authors who base their books around mythology besides Rick Riordan, so any suggestions would be great. my favorites are Greek and Egyptian mythology, but I really love reading about all sorts of mythology. 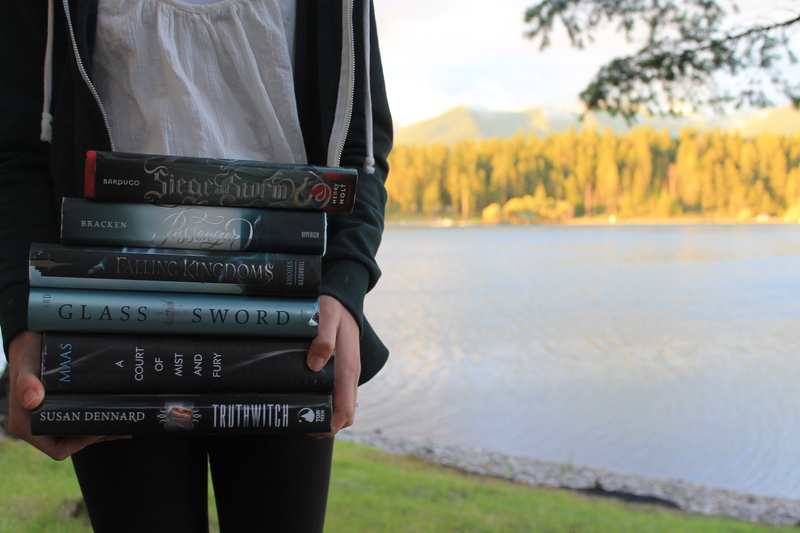 Ever since I first read a book set at a boarding school, I’ve fallen in love with them. I absolutely love when books take place in boarding schools, especially modern day too. And since authors usually try to get rid of parents (killing them off, etc.) to make more room for the main characters, why don’t they just send the characters to boarding schools? If you ask me, that makes a lot more sense. This is kind of a small thing, but where are all the books with cats?? Don’t get me wrong, I love dogs, but there are way more dogs than cats, and it makes me sad. 🙁 I just want more books where the characters have a cat as a pet, is that too much to ask? I love romance, but I think it’s really nice to get a break from that and read a book where the characters aren’t in a relationship or anything. One great example of this is This Savage Song by Victoria Schwab where the two main characters have a purely platonic relationship. I just want more books where the main characters have a platonic, not a romantic, relationship. By now you probably know how much I love strong friendships and sibling relationships in books. There aren’t nearly enough books with either of these, which makes me sad. My sister and I are really close and I’m also very close with all my friends, so why aren’t there many characters like this? It seems like most characters just kind of ignore their siblings and claim they don’t have any friends. *sigh* And yes, I know that not everybody has strong relationships with friends and siblings, but there just isn’t enough of these in YA especially. What are some things you want to see more of in books? Any of the same? And do you agree that there needs to be more cats? Let me know down below! Every single thing on your list I agree with 100%. Especially dark fairy tale retellings, those are my weakness and I cannot get enough of them! Ah, I agree with so many of these! I’d love to see more strong friendships; I’ve always been a HUGE fan of those types of books with #squadgoals. A big YES to dark fairy tale retellings; I love the original, non-Disneyfied versions of them, and would like to see them translated in books. Totally on board with more mythology because I LOVE Greek and Roman mythos, and Rick Riordan shouldn’t be my only source for it! I totally agree with less romance, and my weakness is boarding schools. THERE ARE NOT ENOUGH BOARDING SCHOOLS.